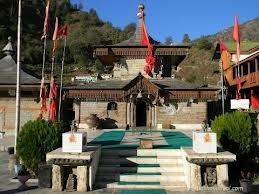 Here is Some Information about Hatkoti Temple in Shimla Himachal Pradesh India. Built in:6th and 9th century AD. Hatkoti Goddesh is regarded as the most powerful goddess among all the goddesses of northern India by the residents of Hatkoti. 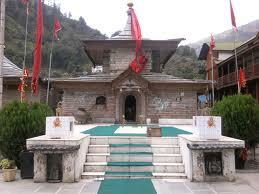 They believe that the temple was established by Guru Adi Shankracharya. Some people also believe that the temple was built somewhere in the Third era. There is no written proof about the history of the temple but as we enter the premises of the temple, the history diverts our minds towards itself, as there are a number of historic monuments in the temple which makes us remember about the Mabharata period. There are five stone Deols present in the temple premises which makes us remember about the five pandavas. These Deols are decreasing in size, first one being the largest in size and then the decreasing ones. In the building there is a beautiful Lord Shiva temple having a large and beautiful shrine inside it, others idols present in the temple are also a proof a great architecture skills. The interior walls and roof of the temple have also been designed using great architectural skills. 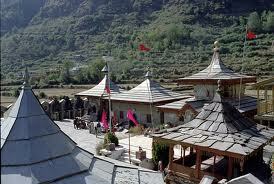 Hatkoti is special for the Hindu pilgrims visiting Himachal Pradesh. 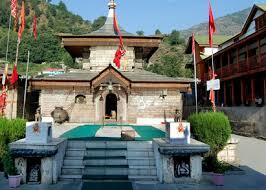 The Hatkoti Temple is an abode of goddess Mahishasurmardini, an incarnation of goddess Durga or Parvati. The statue of the goddess is 1.2 meters in height and made of eight precious metals. In the dark sanctorum, this idol emits a glow because of its bronze make. 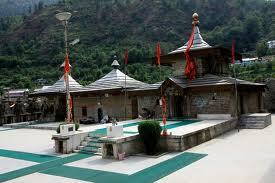 The complex also has a separate temple dedicated to Lord Shiva. Several other idols inside these two temples stand as examples of great architectural skills. 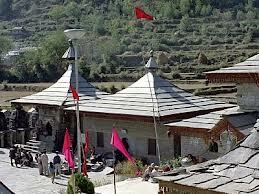 Other structures within the temple complex include a kirtan ghar (prayer room), a dharamshala (rest house) and yagyashala (room for rituals and sacrifices). The Hawan Kund, at the center of the main hall houses idols of Lord Ganesha and Vishnu. 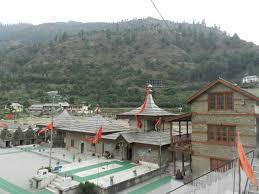 There is also another large hall within the temple premises called Satsang Bhawan. 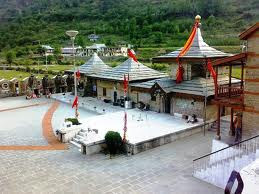 It has a seating capacity of around 350 devotees. By Air: Shimla is the nearest airport. By Rail: Nearest rail heads Shimla narrow gauge Kalka broad gauge. 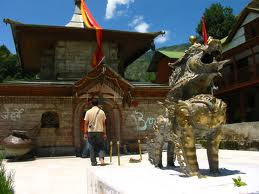 Awesome post about Temples in Shimla India thanks for sharing this informative post.